Finally the both Apple devices are official now. Both the devices are official announced by the Apple at the event which was held yesterday. As this is the first time Apple has released more than two models of an iPhone at a time. The both phones are announced and also the Apple has announced that their new iOS 7 will be available to users from September 14.
iPhone 5C is available for $99 with a contract and 5S is priced at $199 with the contract. However, the unlocked contract-free version of iPhone 5C is available for $550, which is only $100 lesser than the iPhone 5S priced at $650. As per the analysts and experts, Apple failed to bring a device for real emerging market of budget phones, which is also a huge market. The changes that took place are the iPhone 5S will have a 64 Bit A7 processor and also the first device to have a 64 Bit processor as the previous chips used by Apple are 32 bit and now it doubled it and made it 64 Bit Generally, 64-bit chips in the PC space can address more memory and, thus, can be better at running more demanding software. In fact, Apple referred to it as a “64-bit desktop class architecture” in its presentation Tuesday. 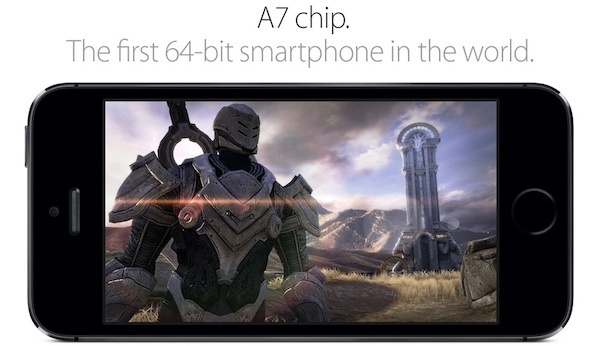 When the company demonstrated the A7 Chip’s features, it presented Epic Games’ latest title, Infinity Blade 3, on stage. There are many changes to the iPhone 5S will come with a aluminum body and a killing specs that an Apple lover will surely love. The iPhone 5S will come up with a finger print sensor on the home button which gives more security to the users. The users can simply bypass the lock screen with their finger print. Yes the phone will perform well and you can’t experience any lag at all. Now lets have a look at the iPhone 5C all have predicted that the C stands for cheap but all went wrong it usually stands for color as the iPhone 5C will come up in various colors with the same features found in the iPhone 5 but comes with colorful panels. But it is not that cheap it was priced $100 less than the iPhone 5S. Though the specs are amazing we have to wait and watch whether the iPhone 5c is a hit or a disaster. When you pick up and hold the iPhone 5C for the first time, you’re going to be blown away by the quality of it, and how rich and rigid it feels in your hand,” said Philip W. Schiller, Apple’s senior vice president for worldwide marketing. Check the features of iPhone 5C here. Check the features of iPhone 5S here. Buy iPhone with or without contract here.